The Ryujin Waterfall (Ryujin-no-taki [竜神の滝]; meaning “Dragon God Falls”) was an unexpected waterfalling surprise because we didn’t expect to visit any falls while seeking out one of the outdoor public baths in the Shirahone Onsen area. 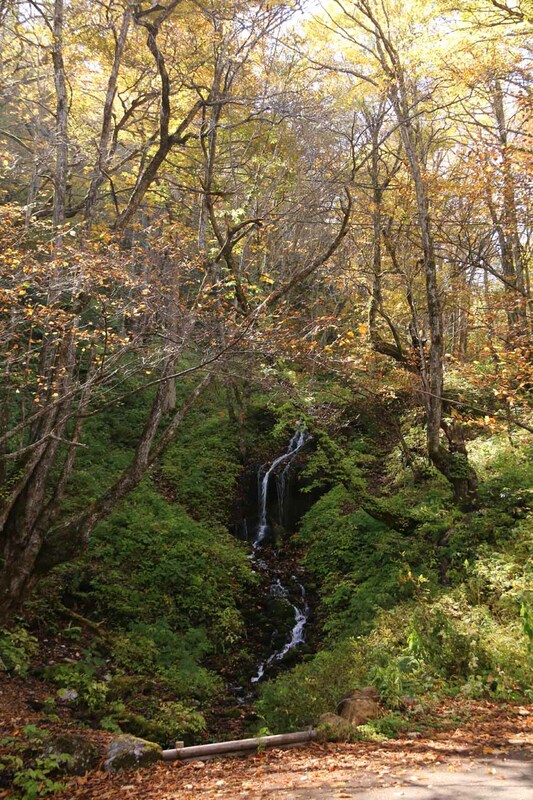 However, after a quick visit to the visitor center, where there was a map sign showing the immediate area, Dad noticed there was kanji indicating that there was a waterfall nearby within a two-minute walk! So when we walked along the road towards the falls, that was when we realized that this was a significant enough of a waterfall to warrant a writeup about it on this website. 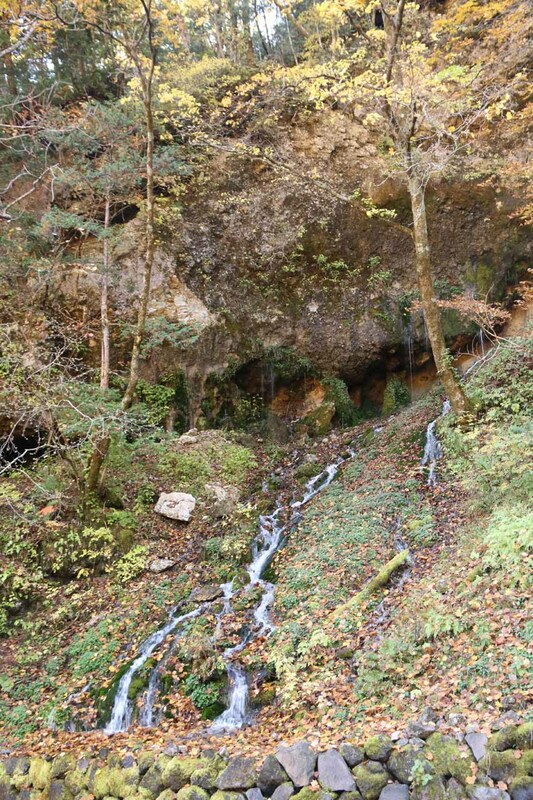 The picture you see at the top of this page was merely one of a handful of segments that were gushing out from its cliff face as clearly they were emerging as springs. Actually, I’m not sure if the official Romaji (or Romanized Japanese) for this falls is Ryujin. 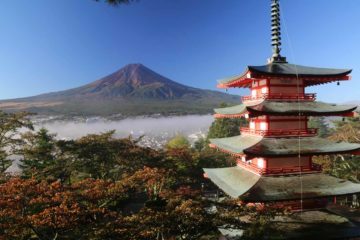 We knew from the kanji that it translated to the “Dragon God Waterfall”, but I had to enter the kanji into a translator and Ryujin-no-taki was what came out of it. So until someone corrects me on this, I’m sticking with this translation and referring to this falls as such. 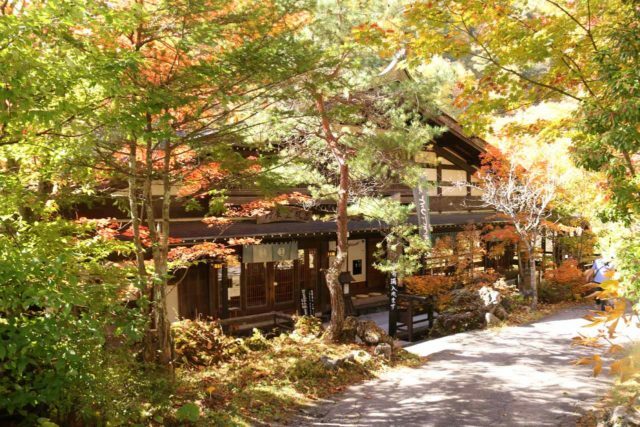 By the way, Shirahone Onsen was written in kanji as 白骨温泉, and it literally meant “White Bone Hot Spring,” perhaps attesting to the high mineral content in the waters here. 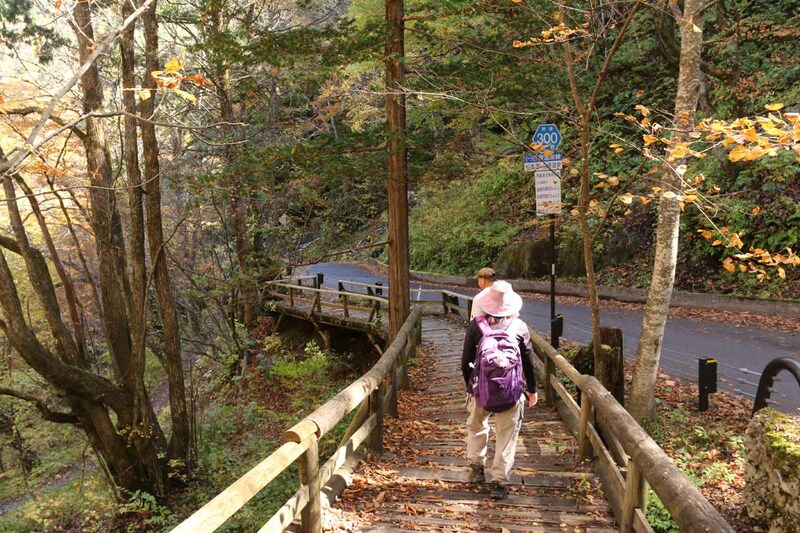 Our visit to this falls took about 5-10 minutes as we walked east from the Shirahone Onsen Visitor Center and back. 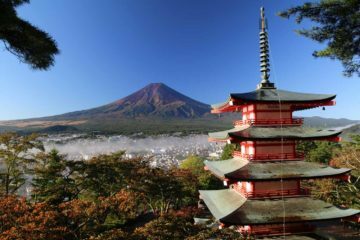 It was just down the road from a clean toilet facility near where another trail branched off and dropped way down towards a bridge spanning the Yugawa (湯川) or Yu River. 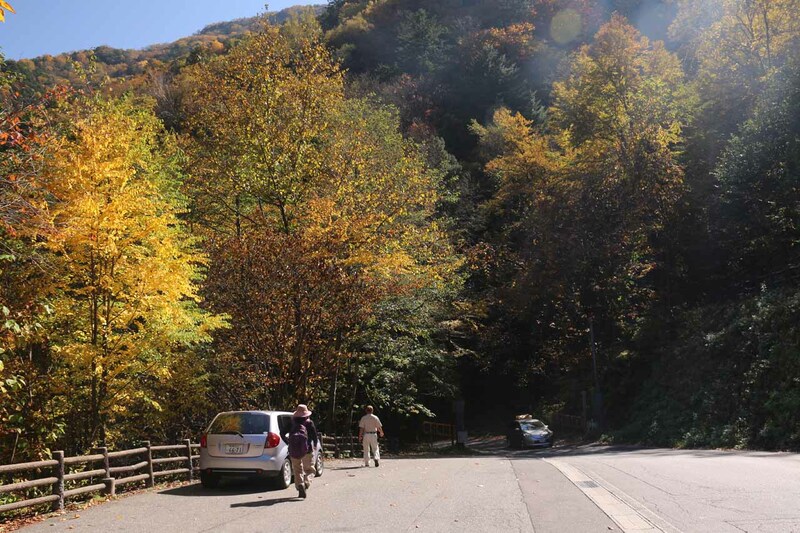 While we had to walk along the shoulder of the Route 300, the traffic wasn’t very heavy, and there was even a pullout in front of the main part of the Ryujin Falls so we could have even driven and pulled over by the falls so we didn’t even have to walk. 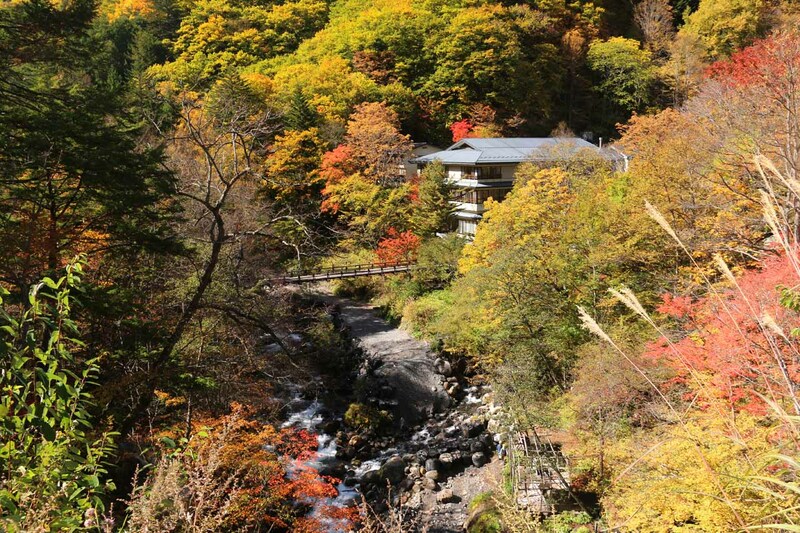 In any case, the main reason why people go to the Shirahone Onsen was for the hot springs. The Ryujin Waterfall at least gave me a waterfaller’s excuse to talk about this place. And it was worth talking about because our visit happened to be during the near peak of the koyo (Autumn colors) so imagine bathing at one of the outdoor onsens here while staring at the surreal scene of the forest and mountains bathed in red and orange leaves while listening to the rushing sounds of the Yugawa down below. 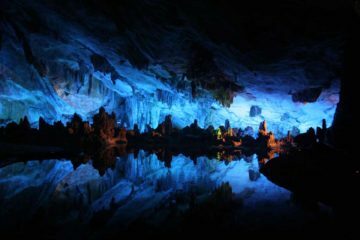 We could also imagine how this place could be the perfect place to bathe in the hot water while there’s snow around you in the Winter! 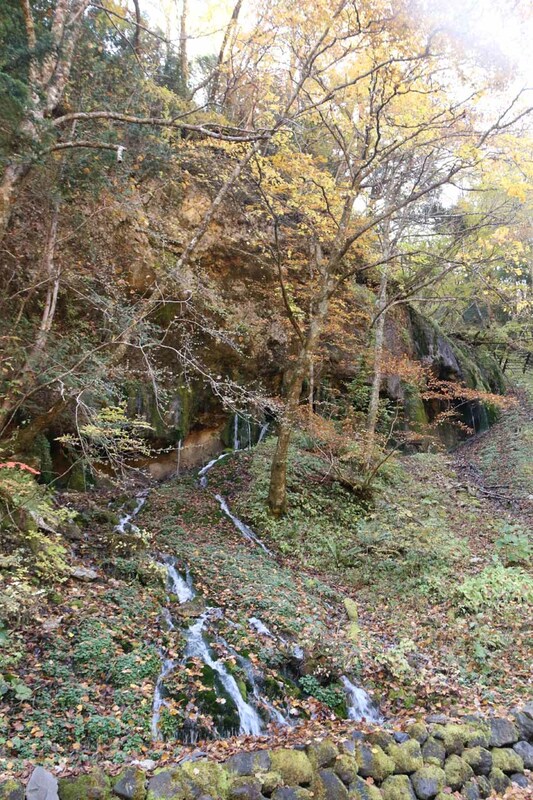 The Ryujin Waterfall was very close to the Shirahone Onsen Visitor Center. This was about 40km (or a little over an hour’s drive) west of Matsumoto, 51km (also a little over an hour’s drive) east of Takayama, or about 8km (roughly 15 minutes drive) north of the Norikura Visitor Center. 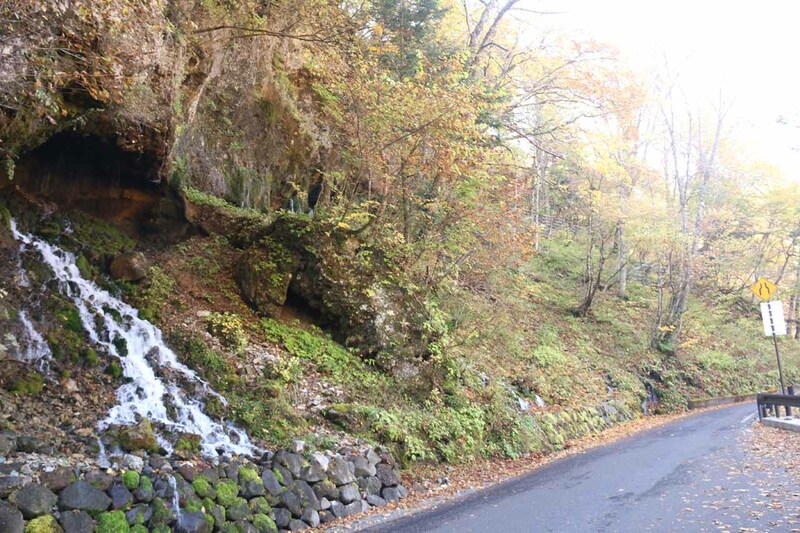 From the Shirahone Onsen Visitor Center, the waterfall was only 250m southeast from the road junction where the Route 300 continued in that southeasterly direction. 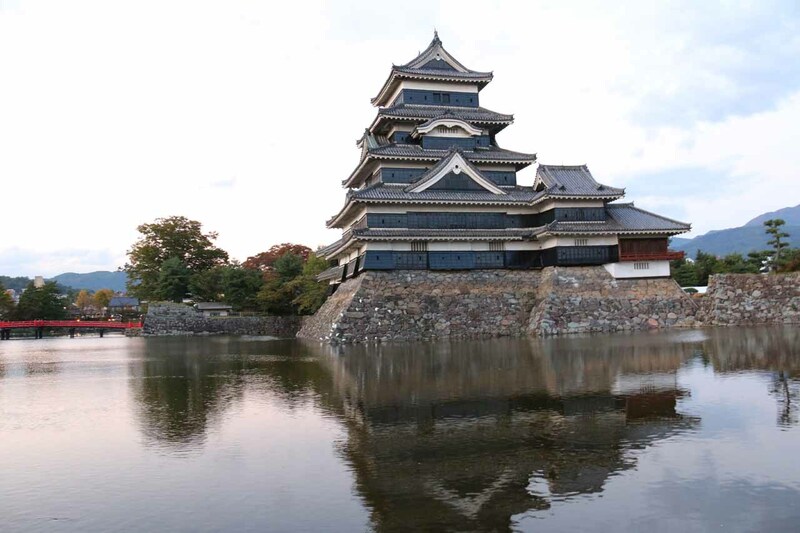 Our route actually began from Matsumoto, where we took the Route 158 west from the city center for around 32km. 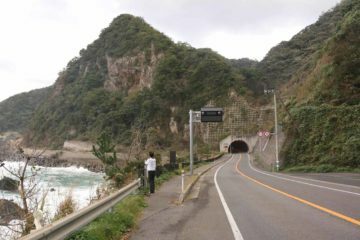 We then turned left to go onto the Route 84 and followed this road for just under 10km where the road junctioned with the Route 300 right next to the Norikura visitor Center. 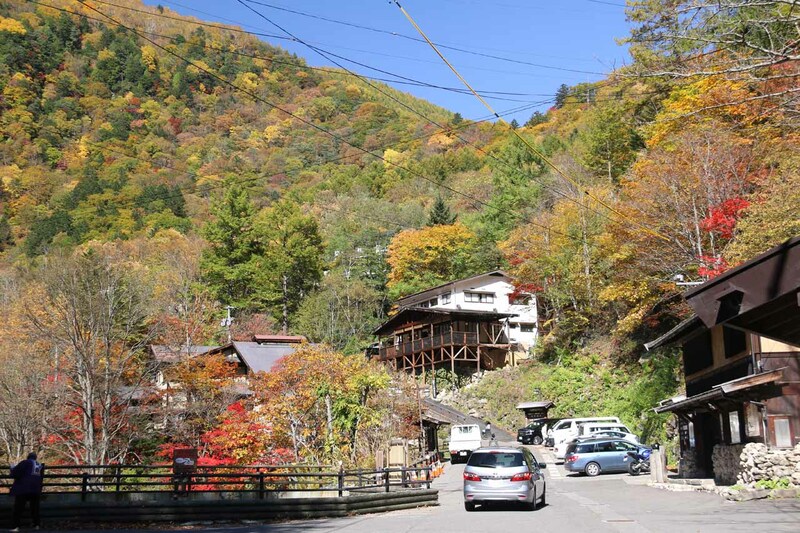 Then, we’d turn right to go on the Route 300 and follow it for about 8km to the Shirahone Onsen Visitor Center, where turning right at the junction to stay on the Route 300 yielded the Ryujin Falls in another 250m. Alternately, we could have stayed on the Route 158 for another 4km or so to where the road would junction with the Route 300 on the left. 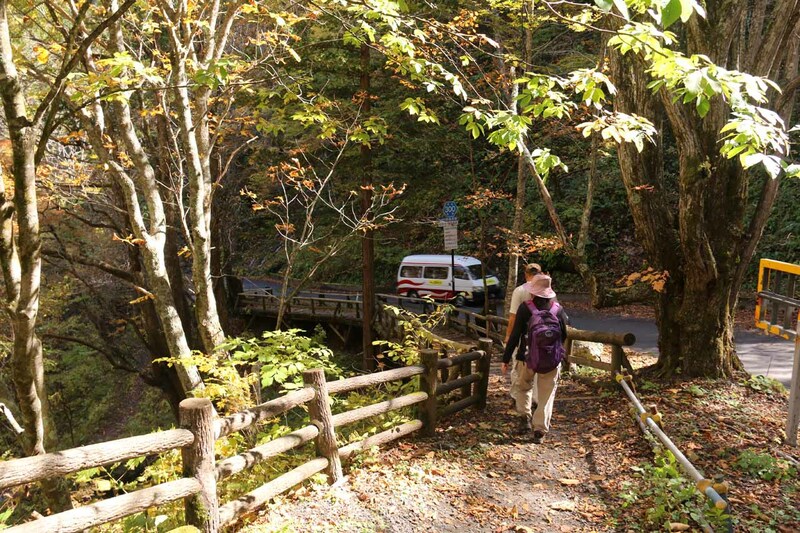 Then, taking the Route 300 for the next 3.5km would take us to the pullout in front of the Ryujin Waterfall. 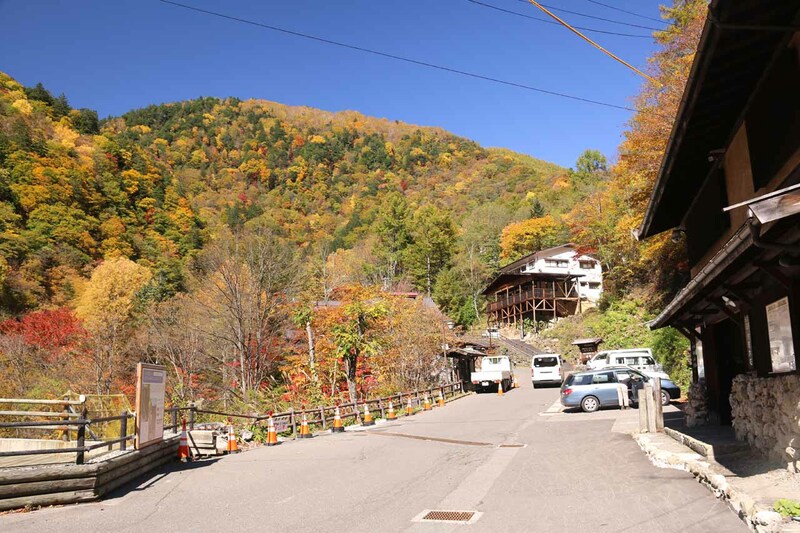 And in another 250m would be the Shirahone Onsen Visitor Center just past the junction. 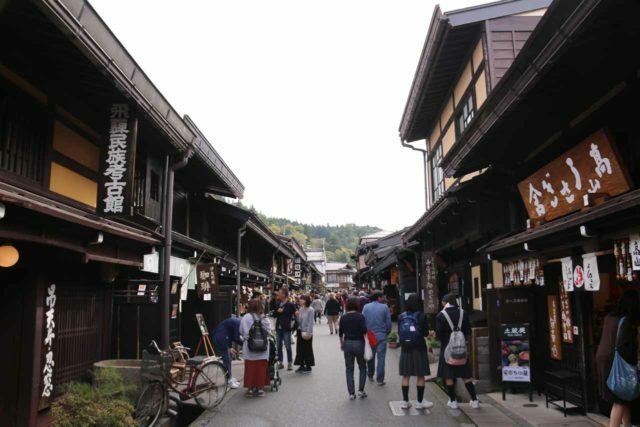 Finally, we could have driven here from the city of Takayama city center by taking the Route 158 for about 47km to its junction with the Route 300. 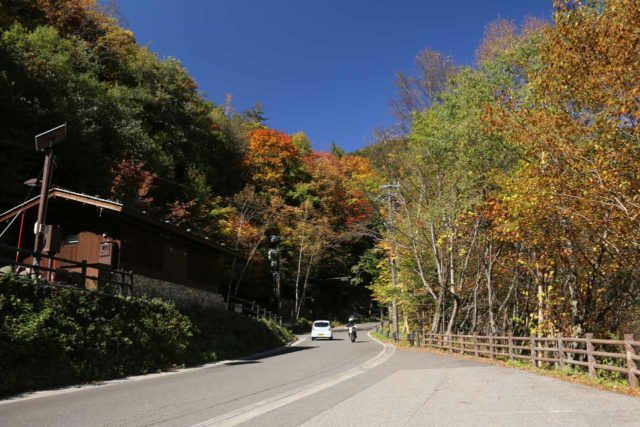 Then, we’d turn right to go onto the Route 300 and follow the directions as above for the next 3.5km to get to the pullout fronting Ryujin-no-taki. 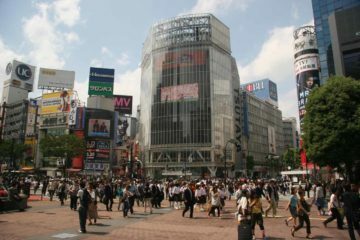 For geographical context, Matsumoto was about 220km (roughly 3 hours drive) northwest of Tokyo. Meanwhile, Takayama was about 157km (over 2 hours drive) north of Nagoya. Matsumoto and Takayama were about 85km from each other.